Content by Movie Geeks United. Originally published on July 25, 2012 @ Movie Geeks United. 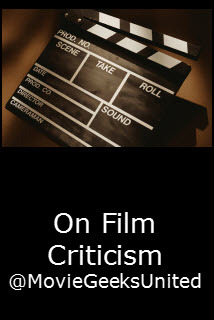 In this episode, film critic Tony Macklin and host Jamey DuVall discuss the current state of film criticism. Movie Geeks United! is the most popular movie-themed podcast on the internet and iTunes, featuring informative and passionate discussions on new and classic films, and interviews with more than 600 of the brightest talents in the business, including James Cameron, Francis Ford Coppola, Robert Duvall, Brian De Palma, Paul Schrader, and John Sayles.